After creating a series of flyers for Paradisco, based on the size of a creditcard (see Paradiso / Paradisco), and a series of flyers for Bassline, revolving around the idea of Filofax sheets (see Paradiso / Bassline 1, 2, 3), we were asked to come up with yet another series of flyers for a new club night. Drum & Bassline was the name of this club night, basically a spin-off of Bassline, focusing on drum-n-bass and jungle music. The series we created for Drum & Bassline ran from 1997 to 1999, during which we designed a few dozen postcards for this club night. On these postcards, we experimented with found images and slogans, line drawings, phrases we wrote ourselves, typographic compositions. 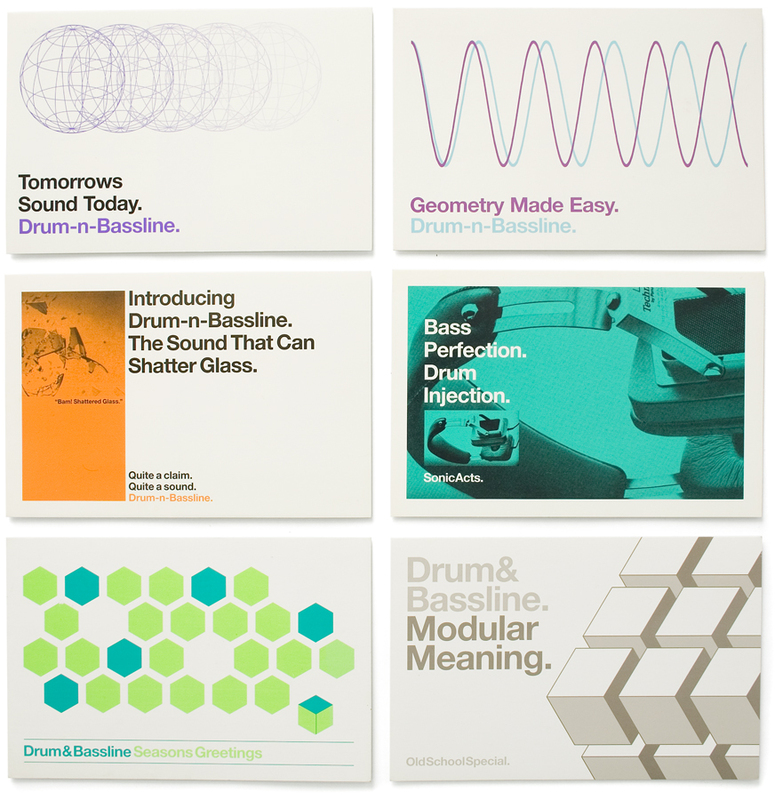 As a series, it might not have been as consistent as Paradisco or Bassline, but seeing these cards now, some of them look still alright, which cannot be said of some of the earlier Bassline- and Paradisco-flyers. Drum & Bassline flyers printed by Drukkerij Heijt, Amsterdam.